When we got the album for review, I really wasn’t sure what to expect. Their first single “Signs Of Time” was pretty aggressive. I think it was a good introduction into one of the styles featured on the album, and gave the fans a good grasp on the different roles each member of the band was taking. The second single was out a few weeks later, and it featured a really catchy song, but also very original in my opinion. The second single is the introduction to the musical elements that sets this band apart from other Prog Metal projects out there. BUT, singles will always be singles and two songs couldn’t possibly present the different musical elements that are presented in this album. 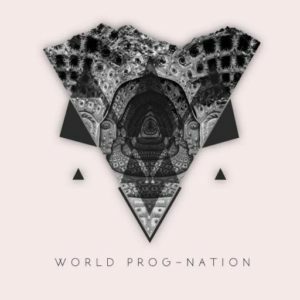 This album is diverse, it has many musical styles and definitely brings unique elements to the prog world. I think that while this album features many different creative elements and different moods, the overall style of the band remains consistent, presenting a very clear and strong musical identity to the listener. Nothing about the style of the album can be called generic prog metal. Prog Metal is a genre that has largely been around since the creation of Dream Theater. 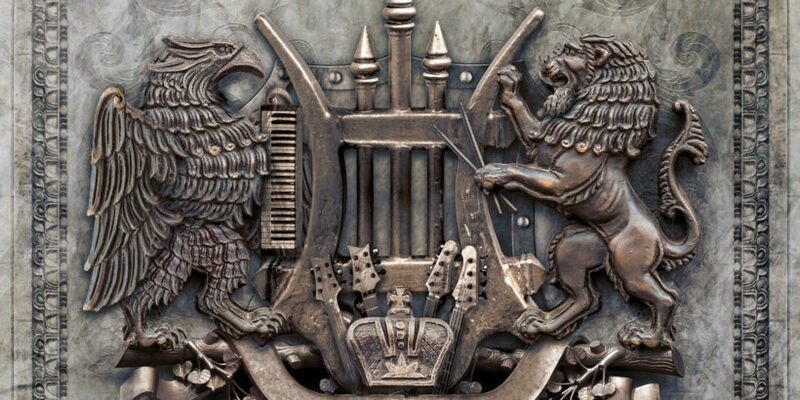 The genre has been taken to many different places and mixtures, from bands like Dream Theater and Queensryche, to newer bands like Haken and Leprous. The combination between Prog and Metal has been taken to a new level with this album, mostly because of this special combination of the 5 players. The overall style, in my opinion is classic metal With a prog twist. Do not expect an album that sounds like Dream Theater from 2010. This album stands on it’s own. There are times where it sounds like Mike and Derek continuing where they left off in 1998- but with the creative support of Bumblefoot, Sheehan and Soto It turned into something different. Every musician stands out, and each instrument is dominant. They all have iconic features to their playing and performance. Jeff Scott Soto does an amazing job singing on this album. He has a great range, and is not the usual singer to you hear in a typical Prog band. His vocal range is a lot more diverse, with great lows and great highs, which is why I think it helps to capture just the right atmosphere needed for these songs. The musical chemistry shown in this album between Jeff, Mike, Derek, Billy and Bumblefoot fits perfectly. No one’s style is out of place – and the result of that combination creates very unique prog songs. 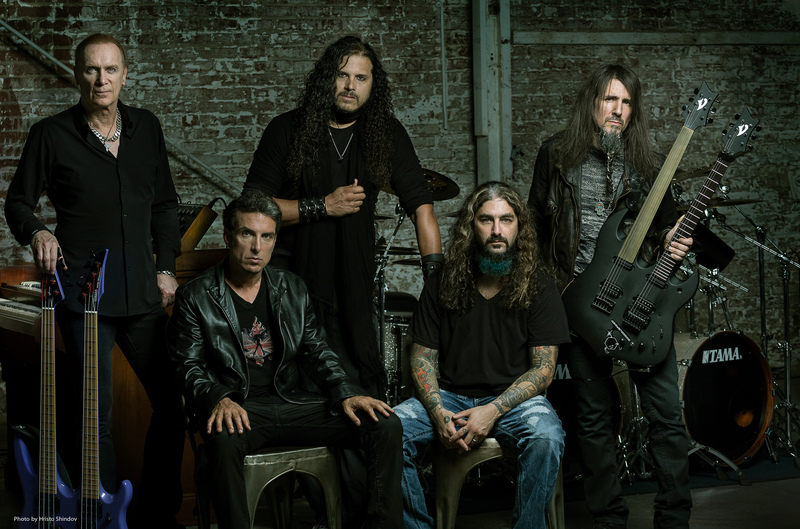 One could argue that it’s business as usual with these guys, particularly Portnoy and Sherinian, but the inclusion of Bumblefoot and Jeff Scott Soto keep it very interesting. It’s like some weird lost release from the past with Billy Sheehan and Jeff Scott Soto. Still, there are certain parts where I think they’re going to familiar places instead of further developing newer elements and creative aspects that only the 5 of them together can bring. It’s Prog Metal- but I think it combines the more classic elements of metal rather than the modern elements. “God Of The Sun”: One of the more prog tracks on the album. I love when a band comes together for the first time and writes a long and adventurous piece. This is exactly it. It starts with a very atmospheric opening, with Derek’s iconic keyboard sound to set you in the mood. The track continues with a great rock riff that leads the song into the verse. The verse is very rhythmic and catchy, perfect for Jeff’s vocals. The chorus, much like many other songs on the album is very melodic. After the traditional progression of Verse- Chorus- Verse- Chorus, The song enters it’s second part- going down only to build itself up all over again. The Second part starts off very calm, building up to a very moving solo by Derek Sherinian. The song is building up to the harder styles with a great solo by Bumblefoot, and great proggy riffs. The song closes off with another verse and chorus. I know that for a lot of other Prog bands 11 minutes could be thought of as a short song, but in this case- It’s really not. It’s the content that matters. And in this song alone the band did so much that some bands can’t do in a 20 minutes song. “Coming Home”: This is the second single that was out before the release of the album. It’s really catchy and it features a lot of groove and attitude. Hearing this made me really curious as to what to expect from the rest of the album. “Signs Of The Time”: This is the first single that was out before the release of the album. To be honest with you this one didn’t impress me as much as the other tracks when I heard it as a single. It’s better in the context of the entire album. It’s very hard rock, but with a certain twist. “Labyrinth”: This one starts off really soft. The soft melody sets us up for the verse that takes that basic melody and expands upon it with the heavy guitars. This song is kind of dark, and it’s one of my favorites. It’s alternating between many different sounds. The band then takes the song to a whole other place, with a very cool riff played by the guitar and keyboards. Then there’s another verse supported mostly by the drums. Definitely one of the many places Mike shines through with his playing. It’s also one of the more prog tracks on the record. It continues to go through all these really fun and creative places before it enters a really cool instrumental section, with a solo of Derek and a solo of Bumblefoot. There’s a melodic unison of them both only to return to the bridge that was in the beginning. “Alive”: This one could’ve easily become one of the singles for the album. It’s a very melodic song from start to finish, with clean verses and HUGE choruses. This is definitely where Jeff’s singing shines through. I can’t think of many singers that would’ve fit this song the way he does. Other than that, there’s not much to say. It also features a cool Sherinian keyboard solo and very emotional guitar solo by Bumblefoot. “Lost In Oblivion”: This one is a very heavy, high paced song. Very aggressive and cool. It reminded me of Adrenaline Mob’s style. There are times where the song is very straight-forward and times where it’s really complex. Throughout the song there’s this really tense feeling. “Figaro’s Whore”: It’s a 1 minute song, featuring a really cool and articulate solo by Derek Sherinian. It leads to the next song pretty well. “Divine Addiction”: This one is probably the grooviest song on the record. It’s really great. Also could’ve easily been picked as a single for the album. The verses are really rhythmic and catchy. It’s a very strong tune deeply rooted in Deep Purple, with a catchy organ riff that actually reminds me of Styx’s “Blue Collar Man”. “Opus Maximus”: This is the prog epic that ends the entire album, and I think it’s a perfect fit. They’re actually finishing this album with a 10- minute instrumental and it works perfectly. This is definitely one of the most adventurous songs in the album. Not because it’s a hard song to play, but because it’s really creative and the way all the different parts flows into each other make it work really well. It starts off with a really cool chord progression that actually reminds me of a heavier opening of a “Transatantic” epic. It then shifts completely, to a very cool high paced riff. It’s proggy and really heavy at the same time. Then we go on and presented with one of the main melodies of the song with strings and a beautiful lead sound by Bumblefoot. And then, much like in the first song, we go into a completely new part that builds up the song all over again from the beginning with very tense, and complex riff, backing up a great guitar solo. The song continues with many different complex themes. It even has a really cool part of only drums and bass. This song is really fun and great, and it’s a great way to end this album. So, to sum things up- It’s a great album and a great lineup. I hope I’ll get to see them play live next year. 2017 really is a great year for prog, and this is one of the top releases of the year for sure. By- Yarin Cohen and Alfredo Iraheta Jr.